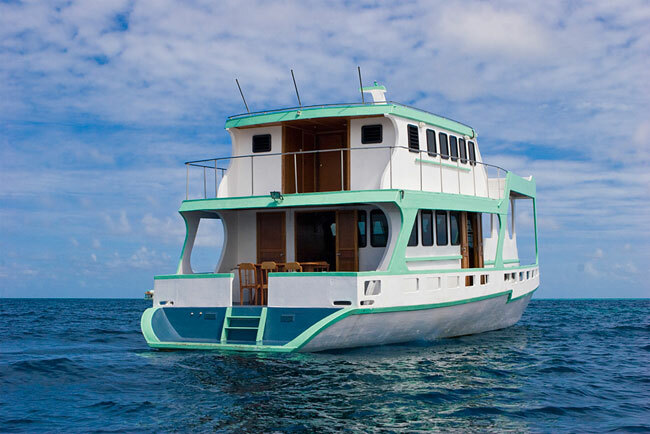 Tropic Breeze is a deluxe class five cabin cruise yacht. The yacht is fitted with brand new interior in 2009. 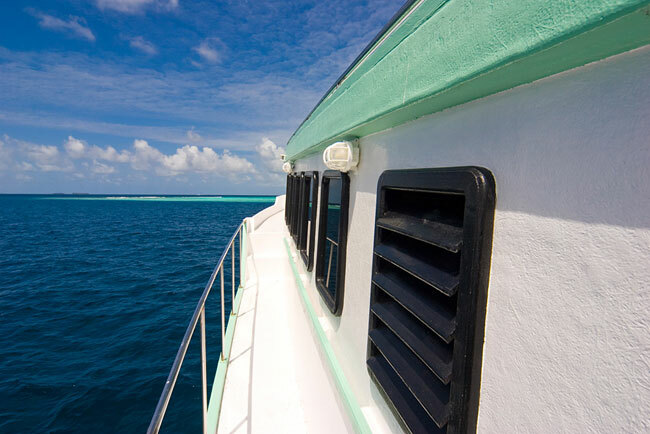 The yacht is aimed at travellers who like to explore the Maldives with comfort in an air-conditioned deluxe vessel. 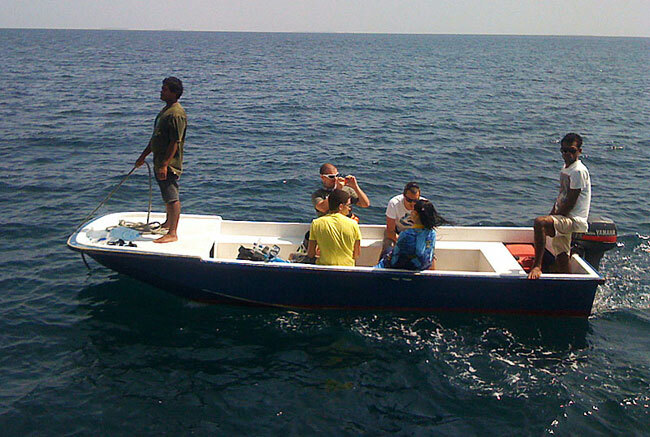 This yacht is ideal for groups of friends’ family or for private charter. The dedicated crew of Tropic Breeze offers you the attention that you deserve on your holiday to make your stay onboard memorable. 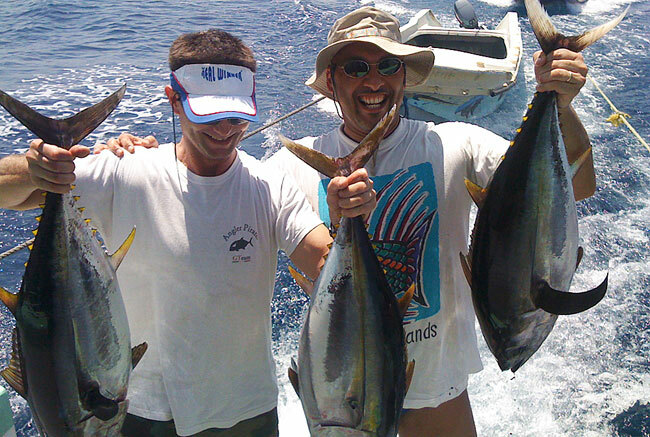 The yacht caters for diving, surfing, fishing, snorkelling and cruising market. 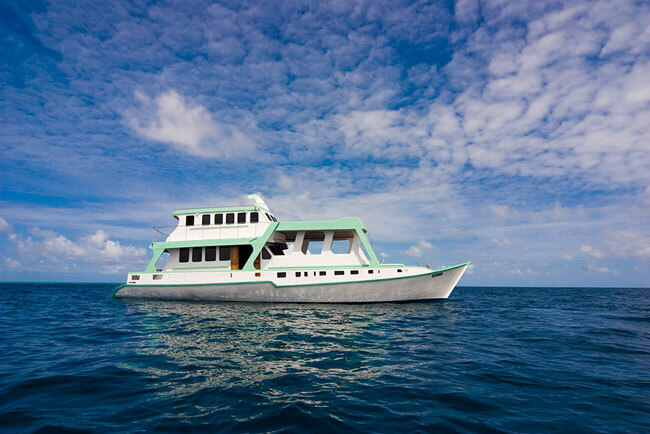 Tropic Breeze can accommodate up to twelve guests in its four guest cabins. 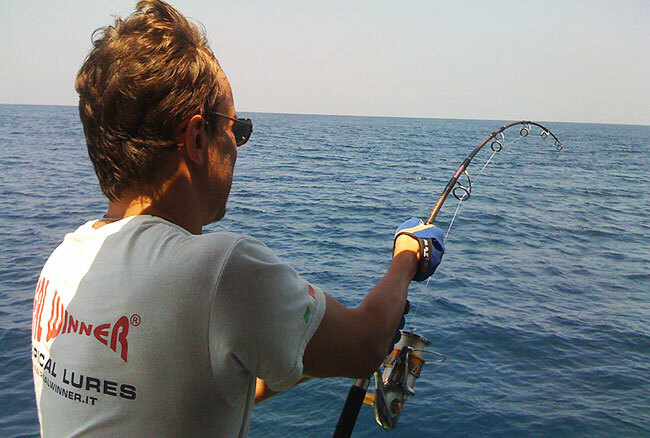 The yacht can also be exclusively chartered for honeymoon, big game fishing, surf holidays, snorkelling holidays and diving holidays. Tropic Breeze yacht has five cabins with en-suite shower and toilet. 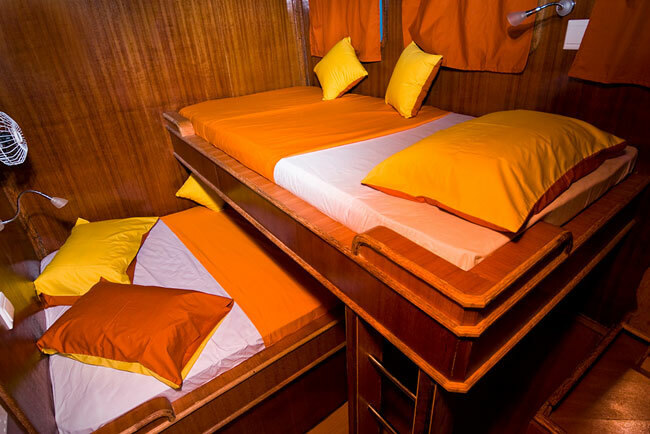 Four cosy cabins are exclusively for guest accommodation and one cabin dedicated for crew. The interior décor of cabins are tastefully done with polished wood. 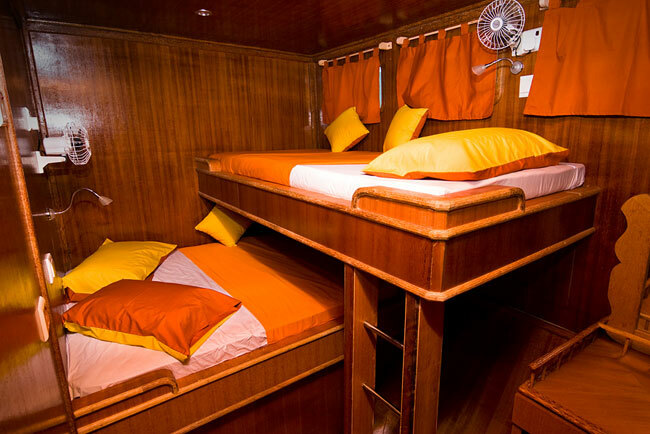 Each cabin is air-conditioned with a double bed and a single bunk bed. 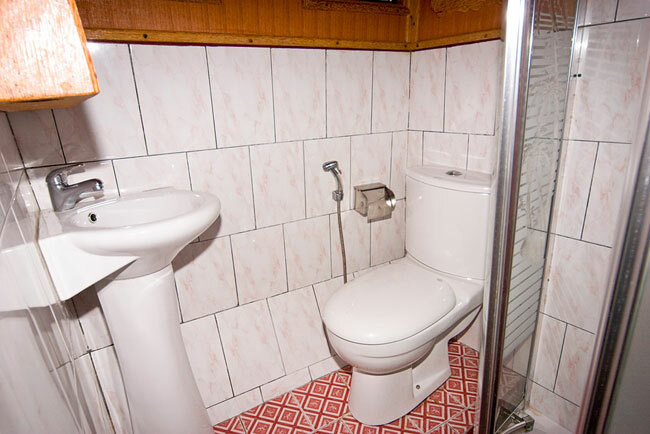 The cabins have private shower and toilet fitted. Fresh hot and cold water is available in showers. Cabins have private lockers, cupboards and a side table. In addition to air-condition cooling each cabin is fitted with a fan and a porthole. 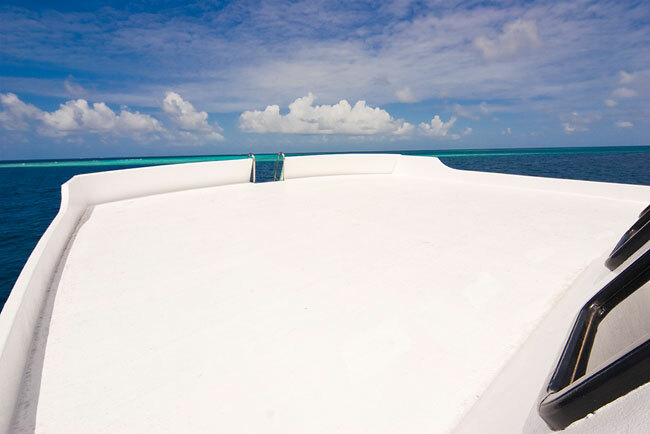 Tropic Breeze yacht has a lower and upper sundeck for passengers to relax and sun bathe. 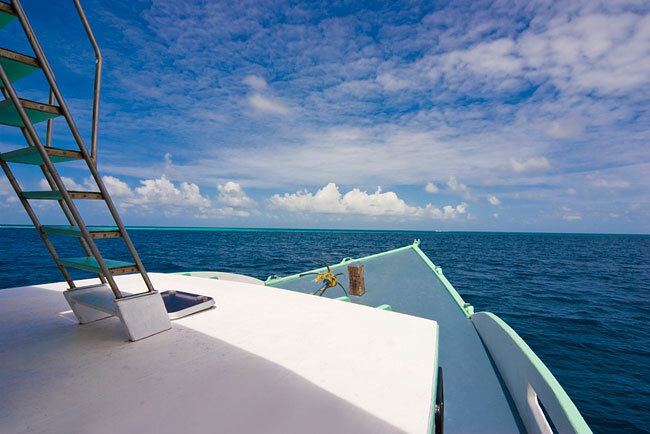 The sundecks are ideal for reading or to have a relaxed day or evening in while the yacht is taking you on your journey through Maldives. 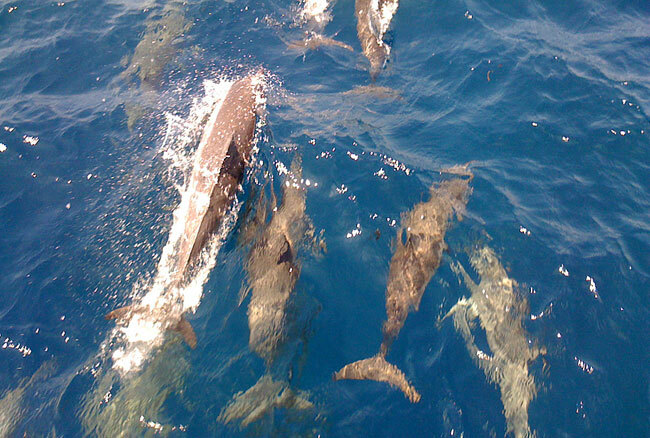 The top sundeck is well placed to enjoy plenty of fresh sea breeze, undisturbed sun and occasional site of school of dolphins. 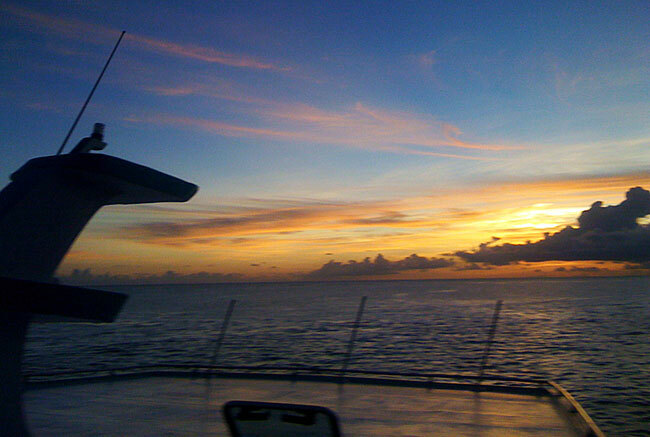 You can enjoy also enjoy our cold beer or drink while watching the sunset. 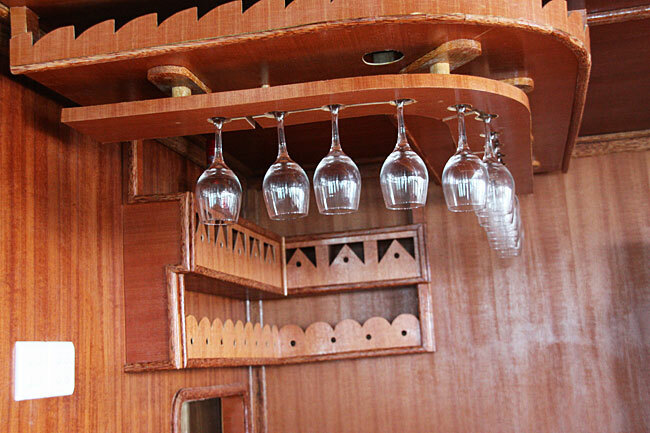 Dining area in Tropic Breeze is at the rear end of the yacht. 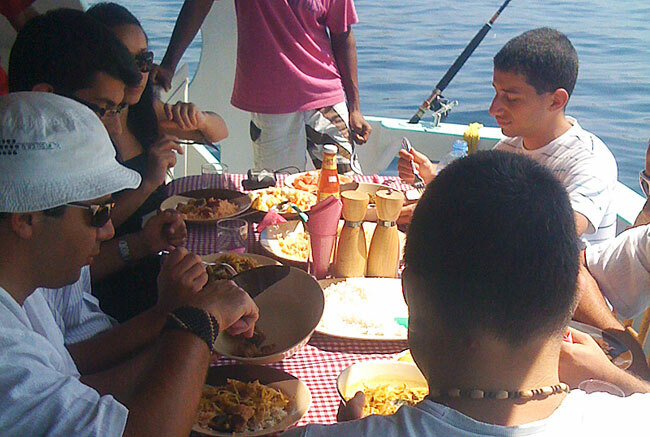 It is open aired so dinners can enjoy the surrounding view while having meals prepared by your onboard chef. Three meals are served daily including breakfast, lunch and dinner. 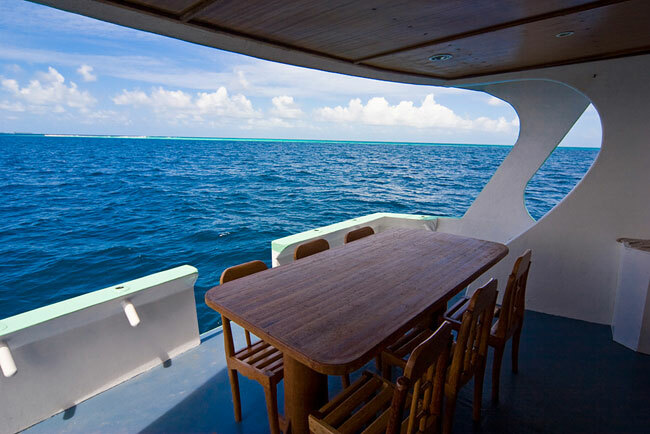 The dining area is designed to give maximum view of the horizon so you can enjoy the sunsets, sun rise or occasional school of dolphins passing by. 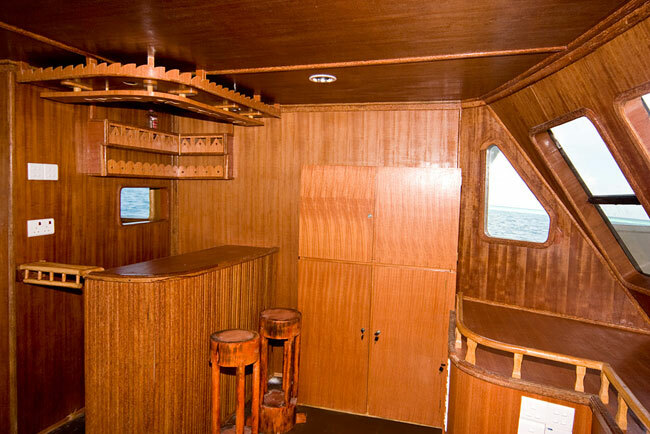 The yacht has a sitting room and a bar where you can enjoy your drinks while watching television or listening to music. Music or videos can be played on request. You can select what you want from Tropic Breeze collection. 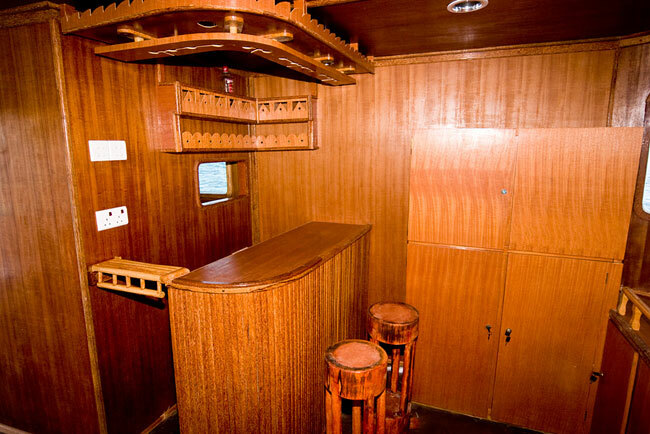 The yacht bar serves variety of alcoholic and non alcoholic drinks and coffee & tea.